Since 1981 Belize has became an independent democratic commonwealth country located on the Caribbean seaboard of Central America. Many investors are driven by the possibility to incorporate a tax exempt Belize offshore company. The government of Belize is fully committed to the ongoing development of it as a leading jurisdiction. 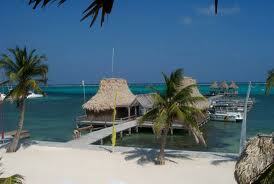 The environment of Belize with cays and barrier reef make it a popular destination for eco-tourists. Water is clear, unpolluted and perfect for swimming, diving, fishing and other aqua sports. Also Belize offers a unique mix of unspoiled woodlands, caves, rivers, mountains, waterfalls and jungle. International Business Company (IBC) is the most popular form of offshore corporate structure. An IBC is formed under the International Business Company Act 1990 and generally must conduct its trading and business outside Belize. At the same time, legislation of Belize also allows an IBC to carry on a number of activities within Belize jurisdiction. Belize IBCs are used for a diversity of tax planning and international investment purposes. For intellectual property holding rights. Click here to discover how to incorporate your offshore company step by step. Not recommended for high profile trading operations. Contact Us and receive a free consultation from our experts. – Read about our team of professionals. ICD Fiduciaries is committed to protect the confidentiality of the information provided. Offshore company for who ? For what activity ? Offshore services – expand your activities! Become a fan: ICD Fiduciaries offshore and banking news and latest updates. All provided information is confidential. We are against SPAM and this information will not be given to the 3rd parties. TELL US MORE ABOUT YOUR PROJECT! Are you interested in offshore company formation? Which of ICD Fiduciaries services you may be interested in?